Battery 134 (1944-NC) - Battery 134 was a reinforced concrete, World War II 16 inch coastal gun battery on Fort Emory, San Diego County, California. 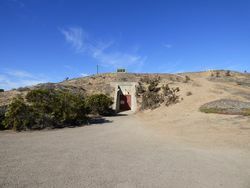 The battery was unofficially named Battery Gatchell, in honor of Brigadier General George Washington Gatchell, the Commanding Officer of San Diego Artillery District from 1907 to 1910. 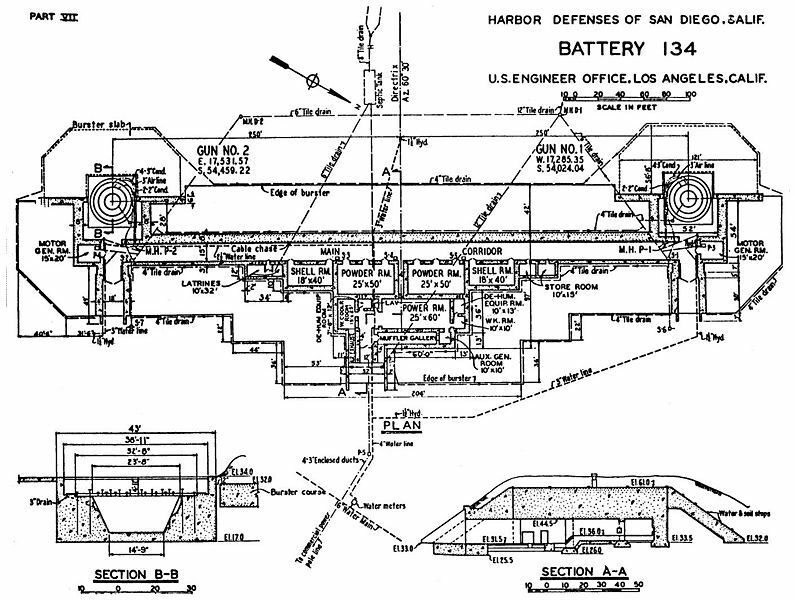 Battery construction started on 27 Mar 1943, was completed on 21 Feb 1944 and transferred to the Coast Artillery for use 11 Nov 1944 at a cost of $ 1,044,907.29. This battery was completed and transferred unfinished in a curtailed status. Never completed and never armed. Part of the Harbor Defense of San Diego. Originally built as a World War II reinforced concrete coastal gun battery with two Casemated 16" guns mounted on Barbette (CBC) carriages. This was a single story battery with the casemated guns located between and on the same level as a central magazine. Shells were moved from the central magazine through connecting corridors to the gun loading platform by overhead rail system. Electrical power was to be furnished by an emplacement power plant and commercial power. 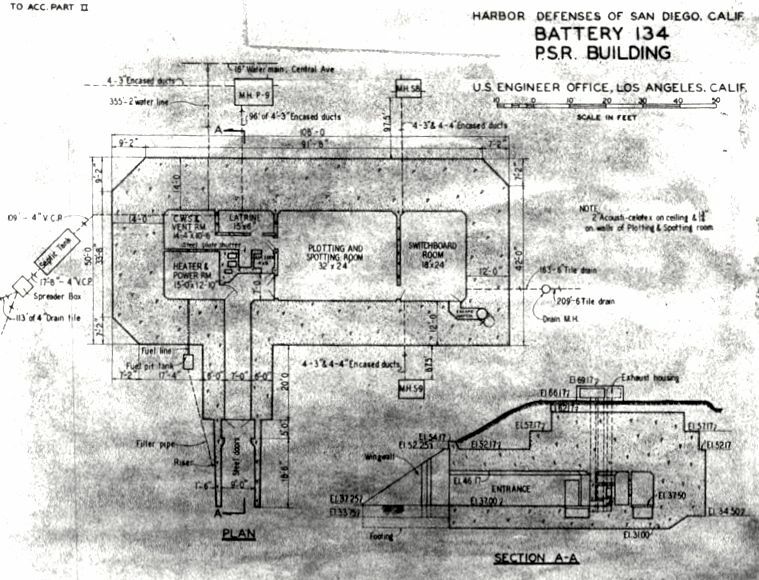 A separate reinforced concrete Plotting and Switchboard Room (PSR) was located to the rear of the battery. The PSR was transferred for service on 25 Apr 1944 at a cost of $ 121,348.15. The PSR, the casemated guns and the connecting central magazine were all earth covered and camouflaged. 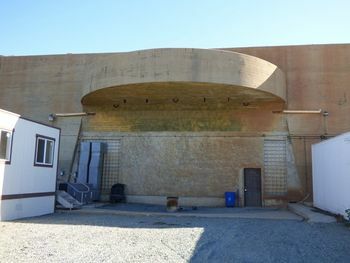 Active military installation, no public access. 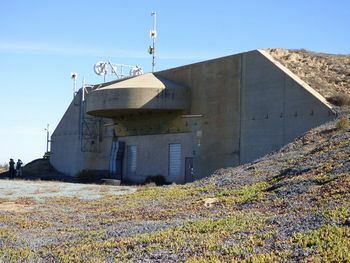 Battery 134 structures remain (battery and psr) but are repurposed by the Navy, no period guns or mounts in place. This page was last modified 20:36, 11 March 2019 by John Stanton. Based on work by Bill Thayer and Ken Glaze.